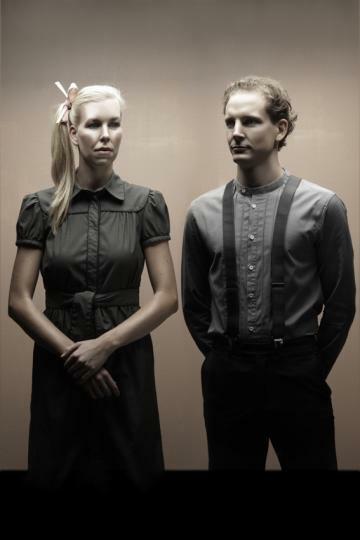 Tineke Beunders and Nathan Wierink have been able to combine their strengths for years with their 'Ontwerpduo' brand. The brand is now an established name in the world of Dutch design, with its seemingly impossible designs. Very early in their collaboration they already knew they would be excellent partners. After they both graduated with distinction from the Design Academy in Eindhoven, they decided to join forces: 'Ontwerpduo'. They now have their own studio in Eindhoven; a workshop that in many ways resembles a modern laboratory. There they work on their shared mission: translating magical ideas into functional designs in order to surprise the world. Tineke usually comes up with the first step towards a design. She likes to use her imagination and often comes up with ideas that seem impossible to realise at first, as she never considers the practicalities or technical feasibility when exploring her ideas. But that's where Nathan comes in... Nathan finds a way for Tineke's ideas to become a reality. Together they form, as the name implies, an outstanding duo. Our catalogue includes the celebrated Tallow candle and candlestick . 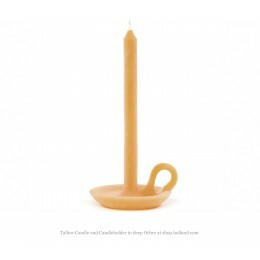 This item is a candle and a candlestick in one. An affordable and unique gift. Take a look on the website to see how Ontwerpduo makes the impossible possible!